A little about your self `ie your education Family life etc: Growing up in a small town had limited resources for the kind of creativity that I possessed. I loved music and began playing piano by ear and teaching myself songs. My mother quickly enrolled me into piano lessons to learn how to read music. I was the middle child of five kids, 2 older and 2 younger. Both sets were closer to each other in age and had more in common with each other. Thus, I stayed at the piano and played and played and played. High School introduced me to performing arts in which I excelled at, then moved to San Jose, California, where I continued music theory as well as musical theatre. 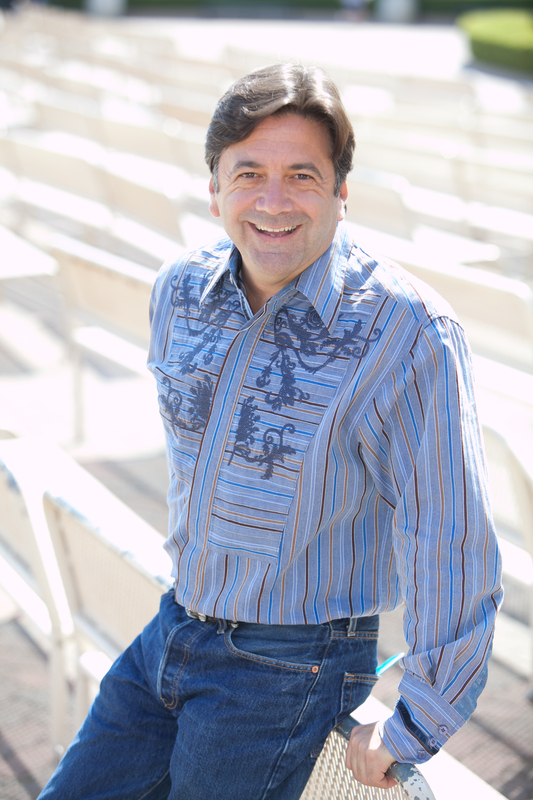 I became musical director for a barn dinner theatre group in Santa Cruz. From there, a quick stint as pianist for a ballet company in Columbus, Ohio, then on to New York City where I continued playing piano for ballet classes as well as hiring myself out as pianist for some of the finer restaurants through out the city. I was admitted into the BMI Music Theatre Workshop as composer/lyricist upon arriving in the Big Apple and teamed up with a lyricist to write a musical revue, “The Gym”. Immediately securing a place into the ASCAP Music Theatre Workshop with “The Gym”, mentors such as Broadway composers/lyricists Stephen Sondheim and Martin Charnin, the work was presented into the prestigious New Dramatists Guild and had various workshops throughout the country. Interestingly enough, “The Gym” is now being resurrected for another joyful run! 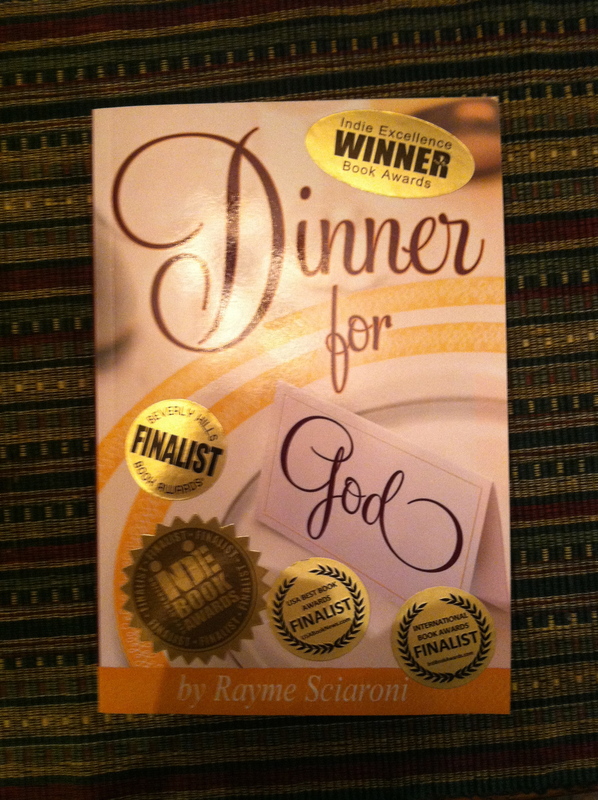 RAYME: I am so proud of my first attempt at writing “Dinner for God”, a non-religious story of fiction that garnered 5 book awards: Winner-Indie Excellence Book Awards and Finalist: Next Generation Indie Book Awards, Beverly Hills Book Awards, International Book Awards and 2013 USA Best Book Awards. RAYME: I used to write stories all the time beginning in high school. I always loved my creative writing classes and always had good starts for stories, but never took myself too seriously as a writer. I’ve always started all of my creative quests with questions that would pop into my head that would begin with, “What would happen if…” or, “What would I do if…” And by writing these different questions down, it would begin my exploring different ways to approach a particular piece of information. RAYME: I honestly think I first considered myself an actual writer when I finished and had published “Dinner for God”. RAYME: There it was. One of my questions! I was having lunch by myself at home one day when suddenly I asked myself, “If God were coming to my house for dinner, what would I serve?” I dropped my fork and asked myself again seriously, “If God were coming to my house for dinner, what would I serve? And what would I wear? And who would I invite? And what would we talk about?” Thus started my journey on what that would be like. RAYME: I think I might. I will always go for humor wherever I can find it. I’m anxious to start my next book to see what sort of devices I want to try for it. RAYME: Absolutely! My story is not a religious one, though many people can shy away from the title with the word ‘God’ in it. For me, using the word and the idea of ‘God’ was a fun way of exploring the possibility that if whatever one considers their ‘Divine Energy’ to be, imagine putting that source in a human form and coming to your table for dinner. Suddenly this particular dinner becomes more important somehow. More thought is given to the entire presentation. A certain way to behave, a certain way to dress, an extra amount of attention is given to the preparation of the food being served. RAYME: The story is a fictional one, but the characters are based on many encounters with wonderful Beings that I have had the honor of having contact with in many different shapes and forms. Many of the singular characters are a conglomeration of a few people that I have come across in my own life. Others are made up completely by myself but were given real life circumstances that I either have been touched by or have been aware of. RAYME: There are many experiences in the book that are based on events in my own life. Mostly the wonderful little jewels of sentences that I have had the pleasure of hearing and recognizing the beauty and humor of them. RAYME: Too many to count. I love good writing. “Pillars of the Earth” and “World Without End” by Ken Follet. The Earth’s Children series, by Jean M. Auel starting with “The Clan of the Cave Bear”. The humorous observations of David Sedaris in “Dress Your Family in Corduroy and Denim”. The fantasy world of J.K. Rowling – The Harry Potter series. The obscure short stories in “The Roald Dahl Omnibus”. The classics of Charles Dickens with “A Christmas Carol” and “Great Expectations”. And what I consider to be the most beautiful and succinct style of writing I can only dream of is that of any Jane Austen novel. “Pride and Prejudice”, “Emma”, “Sense and Sensibility”, to name but a few. RAYME: I take pleasure in being inspired by many different authors for many different reasons. The list above may be my first go-to place. RAYME: “Miss Pettigrew Lives For A Day” by Winifred Watson. RAYME: There are many and I am constantly on the look out for good writing, past or new authors. Have any suggestions? 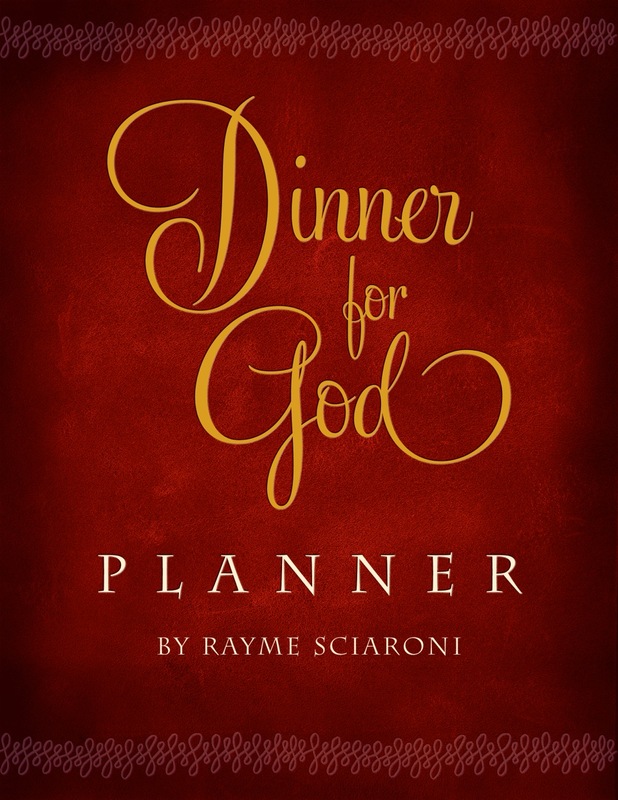 RAYME: I recently completed a companion book for “Dinner for God” entitled, “The Dinner for God Planner”. This gives the reader an opportunity to hold their own unique dinner for ‘God’ and guides them from planning and executing a menu, guest list, topics to discuss, theme suggestions, grace possibilities, everything one would want to know to make this particular dinner a memorable one. There are also many pages in between each section for journaling the experience along the way. RAYME: ALL of my friends, ALL of the time! There has never been a more faithful and supportive group in the history of the world! I feel uber-blessed for them! RAYME: It is! But in many different kinds of writing for me – story telling, music writing, lyric writing, stage writing, musical theatre writing and children’s stories. RAYME: I had the opportunity to live with my story for quite a while before offering it out into the world. I must honestly say there is nothing I would change in “Dinner for God”. RAYME: I was always fascinated with a good story. Whether it came from a television show, a movie or a good book, I could never get enough of this kind of entertainment that took me beyond the story and into the wonderings of it’s workings. How it began, where did the idea come from, etc. RAYME: Am completing a children’s story that I am very excited about as well as a sequel to “Dinner for God” that will be entitled “Dessert for God”. This new story will have some of the characters in it from the first story but mainly takes place in a children’s theatre space. RAYME: I think finding my own unique twist in telling a story that will not only be interesting to readers but will captivate them as well. I’ve taken the risk with “Dinner for God” by adding another one of my gifts as a song writer and have written 5 original songs that are integrated into the story. The song lyrics are in the book in the place that they would be and a CD of the 5 songs are also available. RAYME: Currently it is Ken Follet. His diligence in studying the time frame he chooses to write about in his historic novels are not only fascinating, but I learn bits of history from them as well. The same goes for Jean M. Auel. Had I been given “The Clan of the Cave Bear” in school, I would have ACED the Ice Age quiz! RAYME: For “Dinner for God”, no. I set it in a similar setting to where I live. Research however for some of the characters and their circumstances did have to be sought out both on line as well as asking many different people with similar challenges about different aspects of their Being. RAYME: A wonderful friend and graphic designer, Barron Henzel: http://www.henzeldesign.com. I had a fairly specific vision for how I wanted the cover to be as well as color combination and he was able to fulfill my idea and make it even grander than anything I could have ever imagined! RAYME: Starting. The blank screen can be intimidating and many ideas were coming out of me all at the same time that I feared I was going to miss some of them. So I didn’t even try to do anything cohesive at first. I just started writing and when another idea came up that I knew I wanted to use later down the road, I just wrote it (in red) right in the middle of whatever it was I was writing and kept going. RAYME: Ha! The embarrassing fact that my age gives me away when I learned in high school in my manual typewriting class that one must always put TWO spaces after a sentence. Not so anymore, and I admit I STILL put two spaces after a sentence. ARGH! RAYME: Keep writing! I know that’s been said a million times over by many other, if not ALL writers but it’s true! Even when you’re wanting to go a specific way in your writing and your brain is going some place else, write it down! Even write down the frustration of writing! There is always something in everything that you write that you will undoubtedly use somewhere down the line. Keep writing!!! And did I mention, KEEP WRITING? 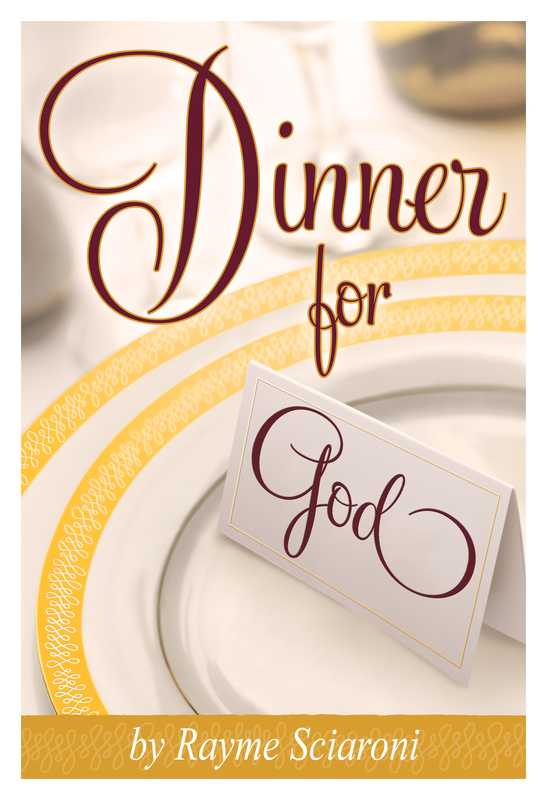 RAYME: Take the unusual yet extremely rewarding and journey of “Dinner for God”. It’s a launching point for you and your loved ones to create an opportunity to communicate on a deeper and more loving level. There is always more to learn about each other. Let this be the vehicle for you to surprise not only your guests, but yourself. And ALWAYS keep it Joy-FULL. RAYME: “The Golden Egg Book” by Margaret Wise Brown and illustrated by Leonard Weisgard. I still have a copy of it. Not mine from when I first read it, but I found it again much later in life and treasure it so. RAYME: Besides writing music…directing, choreographing, designing greeting cards, crafting. RAYME: LOVE movies. Television shows…I don’t do too much of. I can’t bother watching whiny reality shows. I’m too busy living my own life. RAYME: Favorite Foods: Pizza, Gelato, Roasted Vegetables. Favorite Colors: I can’t tell you which is my favorite because it’ll make all the other colors feel bad. Favorite Music: The next song I hear. RAYME: Interior Designing or Set/Lighting Design. 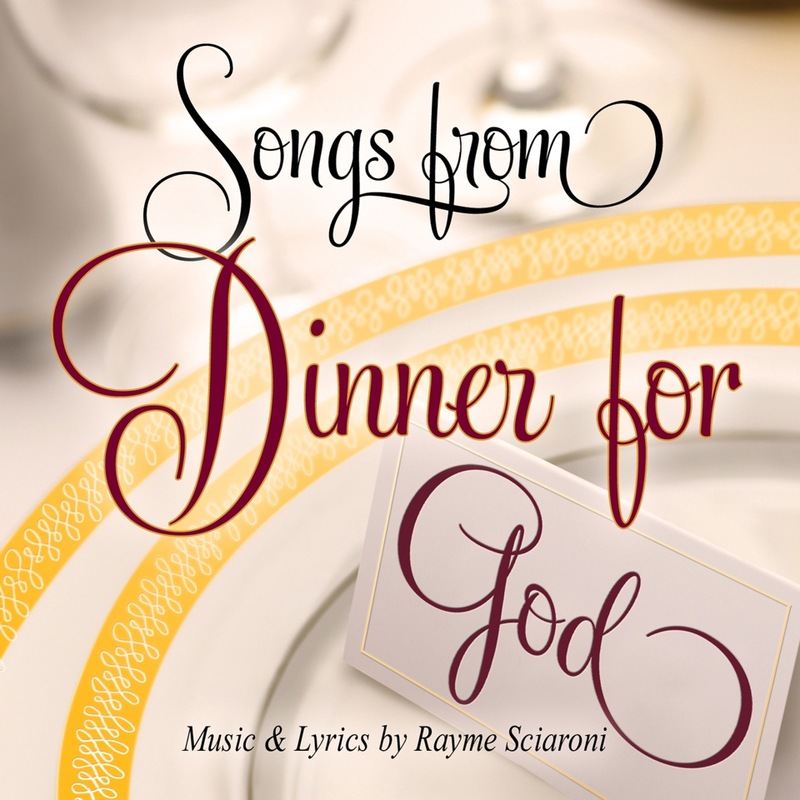 RAYME: http://www.dinnerforgod.com where you can find recipes for all of the dishes that are served in the book, some bonus tips, sheet music of the songs and join my blog! If you have any questions or something you’d like to share, please feel free to contact me at: rayme@dinnerforgod.com. I’d love to hear from you!